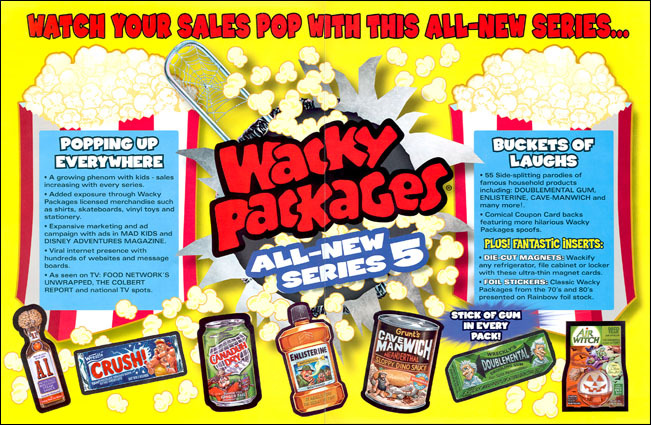 Topps issued All-New Series 5 in February 2007. Check back for more detailed information on this series coming soon. Promotional materials for ANS5 began to appear in fall 2006. Distributors and retailers received this 4-page fold-out promotional brochure for ANS5 in December 2006. Click the thumbnails to enlarge each page; see also pages 2 and 3 together. First seen in December 2006, this 1-page sell sheet mirrors elements from the ANS5 4-page brochure (above).